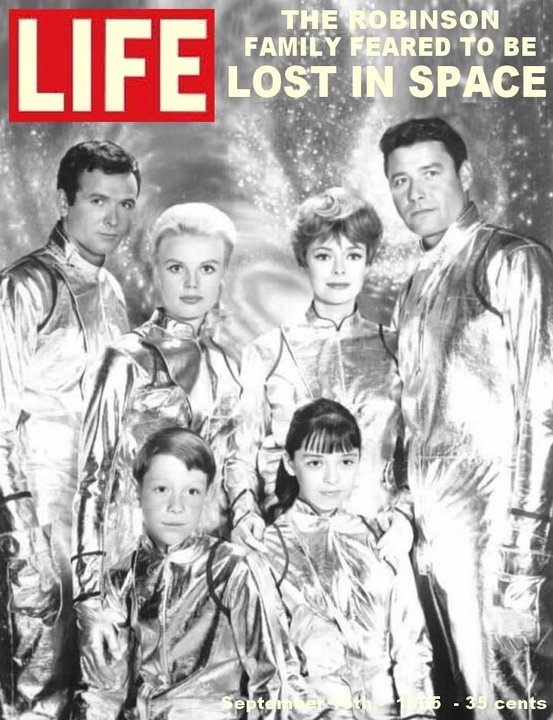 Life Magazine issued a Magazine on the premere of Lost in Space. Originally sold for .35 cents and issued in September of 1965. The same month the pilot open on CBS on Wenesday nights at 730 Pm. The cover features the original cast prior to recasting two additional new space members of the Jupiter-2 Jonthan Harris (Dr. Zachary Smith) and Bob May as the (Robot).